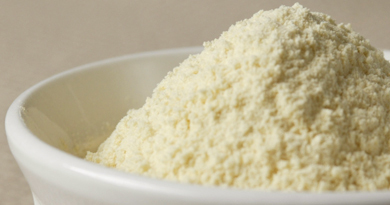 LOSO100 Low Fat Soy Flour – Natural Products, Inc.
Low fat soy flour can be used in many bakery products and soyfoods to increase protein, add water, and extend shelf life. LOSO100 can be used at very high inclusion rates to produce heart-healthy breads and other baked products. Please click here to download the specification sheet for LOSO100.